Walla Walla, named after the Walla Walla Indians that inhabited the valley, means "many water" or "small rapid stream." In the early 1840's, Dr. Marcus Whitman and his wife Narcissa, established the first permanent settlers' home in the Pacific Northwest. They, along with other members of their missionary team, were executed by a band of Cayuse Indians. The Whitman Mission National Historic Site allows visitors to view the 1897 monument, visit the grave where Dr. & Mrs. Whitman are buried, and stroll the original mission grounds. Today, Walla Walla is known as one of the "100 Best Small Art Towns in America." 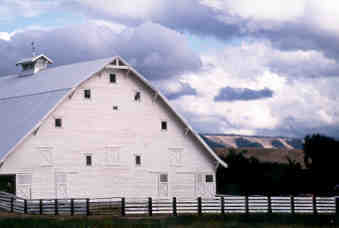 The area features acclaimed wineries, Fort Walla Walla Museum, and of course, the internationally-famous sweet onions. Walla Walla is the county seat of Walla Walla County. Highway 12 passes through town.